Hunter recruitment efforts are bridging a generation gap. Mentored youth hunts are an important tool to boost waterfowler numbers in Canada. Delta Waterfowl president Rob Olson vividly remembers the day he realized Canada's waterfowl hunting heritage was in trouble. "We were having a meeting to look at declines in scaup and pintail numbers, and a press release happened to come across the fax machine," he recalled. The information, sent by the Canadian Wildlife Service, detailed a steep decline in the number of waterfowl hunters. "We were aware of a decline in hunter numbers, but it hit us like a ton of bricks," Olson said. "We had lost 75 percent of our duck hunters." In 1978, CWS sold 505,681 waterfowl hunting permits to Canadians. By 1984, the number had fallen back to about 350,000, similar to late 1960s levels. But then, the number of Canadian duck and goose hunters tumbled steadily, slumping all the way to 136,000 in 2005. Unlike hunters in some areas of the United States, Canada's waterfowlers have an abundance of excellent opportunities to hunt ducks and geese. "In Canada, we live at the source," Olson said. "There's no lack of birds. The decreasing number of hunters has never been linked to a lack of birds. In America, hunters seem to be limited by access. Canadian hunters have good access." So why then, have so many Canadians given up the sport? More complex hunting regulations, lower bag limits and gun control certainly deterred some Canadian waterfowlers. Increased costs of licenses and hunting supplies might have weeded out a few more. Another possible cause is a shift in hunting tastes -- in the field and at the table. "Some people have said the family just didn't want to eat ducks and geese anymore," Olson said, pointing out that big-game hunter numbers have remained relative stable in Canada. "Some people prefer venison." But the overriding reason for the decline in waterfowl hunters might have been peer pressure. "I think it's a lack of social acceptance of hunting," Olson said. "We are becoming more urbanized, and when you move to the city, there's a disconnect." Regardless of the causes, as the Baby Boomer generation aged, the number of waterfowl hunters in Canada sagged. According to the CWS, more than 78,000 Canadian males age 15 to 24 bought waterfowl permits in 1986. By 1996, only 35,700 males of the same age purchased a waterfowl permit. Research -- and logic -- has shown that most kids are introduced to hunting by a parent, grandparent or other family member. So, as fewer fathers, grandfathers, brothers and uncles across Canada hunted waterfowl, fewer youngsters were exposed to it. "The mentorship link is broken," Olson said. Recognizing the importance of introducing youngsters to waterfowling, Delta Waterfowl partnered with Manitoba Conservation and the Manitoba Wildlife Federation in 2000 to launch the first-ever National Canadian Hunter Recruitment Program. "We spent a lot of time on how to create a duck, but we didn't know how to create a duck hunter," Olson said. One mentored youth waterfowl hunt introduced 13 kids to the sport the first year. Since its meager beginning, the program has grown dramatically. Olson expects more than 100 mentored waterfowl hunts to take place across Canada this fall. Delta enlisted the help of its individual chapter membership, and many of them have enthusiastically embraced the cause of hunter recruitment. "The kids love the hunts, and the response of the parents has been very positive," Olson said. As wonderful as youth hunting programs can be, simply taking a teenager to a marsh once is not enough to guarantee they will become a waterfowler. Young people often lack the transportation required to get to the field, money to purchase hunting gear and the skills to be successful. "We're tracking people to try to figure out, how many times does it take to create a duck hunter?" Olson said. "We're looking at ongoing mentorship." In recent years, Delta and other outdoor groups have expanded recruitment efforts by including adults. Delta has hosted a womens' duck hunt since 2007. "Adults are really keen on going out," Olson said. "We never have enough spots for all of the adults." Unlike kids, adults who are introduced to waterfowling often have the means and ability to take up the sport on their own. "We've found out that taking an adult hunting is like planting a 5-pound trout in a pond -- they're ready to go," Olson said. 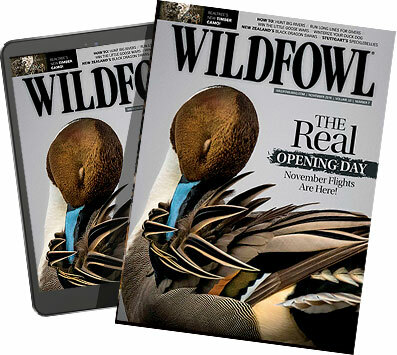 "For many of them, it only takes one hunt and they become a waterfowler." Olson suggests hunting in Canada is enjoying a renaissance as more people move to cities. "People are looking for something real," he said. "They're feeling disconnected. I feel it's a reflection that society is changing. A lot of social trends are coming our way. I feel like I've gone from being the barbarian at the cocktail party to now I'm a curio." The renewed focus on hunter recruitment seems to be working. In 2008, 151,815 Canadians purchased waterfowl stamps, an increase of 5,000 from 2007. It marked the third year in a row more resident hunters scanned the skies for ducks and geese. "In Canada, we just have to give people a taste of waterfowl hunting and show them how incredible it is," Olson said.